Harrisburg, PA – Governor Tom Wolf today wrote to five Pennsylvania Congressmen on two key U.S. House committees to formally ask them to reject the American Health Care Act (AHCA), which the administration’s analysis says would cause serious harm to Pennsylvania seniors, individuals with disabilities, and populations with both Medicaid and private insurance. Governor Wolf requested each Congressman to both vote ‘no’ and ensure a more open and transparent process. The letters were sent to Representatives Tim Murphy, Ryan Costello, and Mike Doyle on the Energy and Commerce Committee and Representatives Pat Meehan and Mike Kelly on the Ways and Means Committee. Each letter details the broad impact to all of Pennsylvania and specific numbers of constituents in their districts. 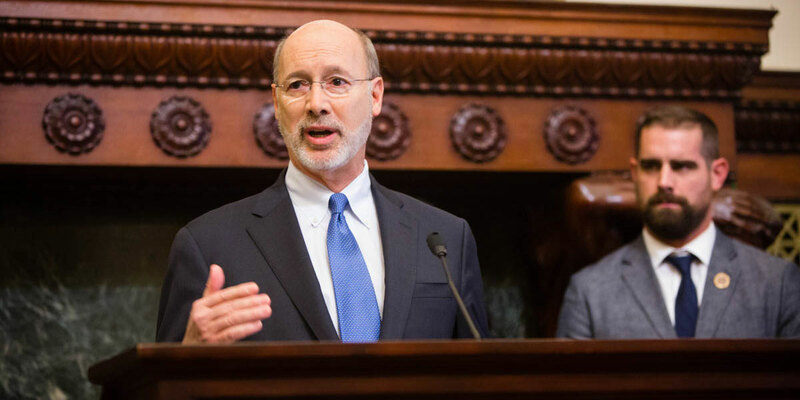 Governor Wolf took particular concern with the impact on older Pennsylvanians, particularly those between the ages of 50 to 64. This bill would allow insurance companies to charge these seniors five times more than others and would drastically cut subsidies for seniors, especially those with fixed or low incomes and in rural areas. Both the AARP and American Hospital Association have come out against the AHCA, specifically due to its negative impact on older Americans. According to the Kaiser Family Foundation, subsides for the average 60 year old Pennsylvanian would be reduced in all 67 counties for those with incomes of $30,000 or less. The vast majority of subsidies for this same population making $40,000 or less would also be reduced. For example, a 60 year old in Berks, Adams, or York County with an annual income of $20,000 would see their health care assistance cut by more than $11,000, according to the Kaiser Family Foundation analysis. Click here to read the full text of one of the letters sent today.